The Best Place in Aberfoyle for food, drink, meeting people and just having a great time! 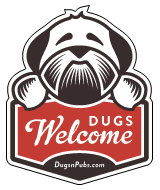 There are a total of 2 dog friendly listings in the Aberfoyle category. Please log in, or sign up as a member to view all listings.